Next PostNext Our 10 Favorite Walt Disney World PhotoPass “Magic Shots”! Can you believe 2019 is just around the corner? With a new year comes new attractions, dining, and more headed to Walt Disney World! A few days ago we looked back on 10 of the most major changes at Walt Disney World in 2018. Now, we thought we’d take a look at 10 things we are eagerly looking forward to next year. Punch it, Chewie! We are blasting off to a galaxy far, far away in 2019. Star Wars: Galaxy’s Edge is set to open in Disney’s Hollywood Studios late next fall. Said to be “the most immersive land ever,” it will feature two all-new attractions, dining at Oga’s Cantina, shopping at the Black Spire Outpost street market, character experiences, and entertainment! We recently found out more about these highly-anticipated attractions. The first, Millennium Falcon: Smugglers Run, will allow guests to board and take control of the iconic ship in one of three critical roles. How well (or poorly) your mission goes will actually affect other experiences you have throughout the land – a Disney first! The second attraction, Star Wars: Rise of the Resistance, drops you right into the action as the Resistance faces off against the First Order. 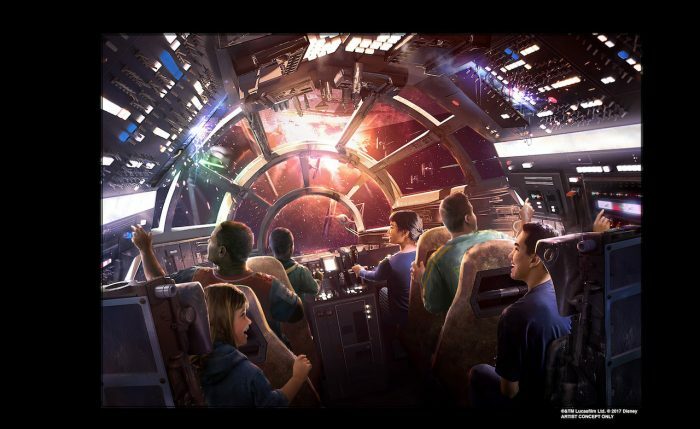 Whether you’re a family of Jedis, Scoundrels, or Droids, Star Wars: Galaxy’s Edge is going to be an incredible new adventure! 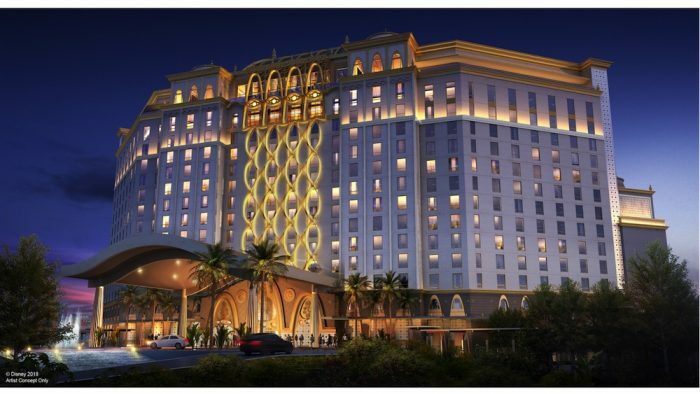 Coronado Springs has already undergone a renovation on its current rooms, and in July 2019 comes the brand new Gran Destino Tower. The new tower will feature a gorgeous two-story lobby, 545 new rooms, and a top-floor table service restaurant that will boast a fabulous menu and incredible views. You can start making reservations for the new tower now, for trips in July 2019 or later. 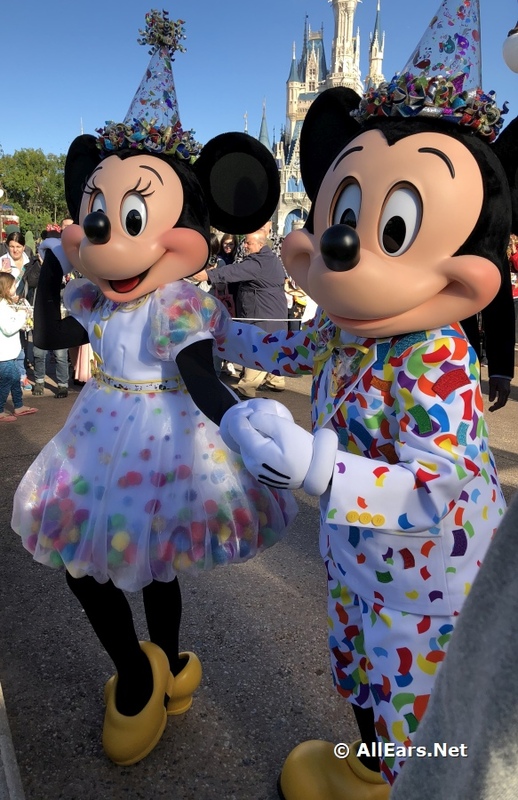 Starting January 19 and running through September 30, Mickey and Minnie Mouse are continuing their 90th birthday celebrations at the Magic Kingdom! Their party will feature all new food, entertainment, and merchandise around the park. The world’s most famous mice will be greeting guests together at Town Square Theater in their adorable new birthday outfits! Mickey and Minnie are also taking over Main Street with the “Move It! Shake It! MousekeDance It! Street Party,” which features a brand new song and tons of characters! Several new eateries opened at Disney Springs in 2018, and they aren’t done yet! City Works is set to open its eighth location in the West Side next summer. Known for an impressive beer selection, the eatery will offer more than 80 drafts, as well as up-scale twists on classic American bar food. 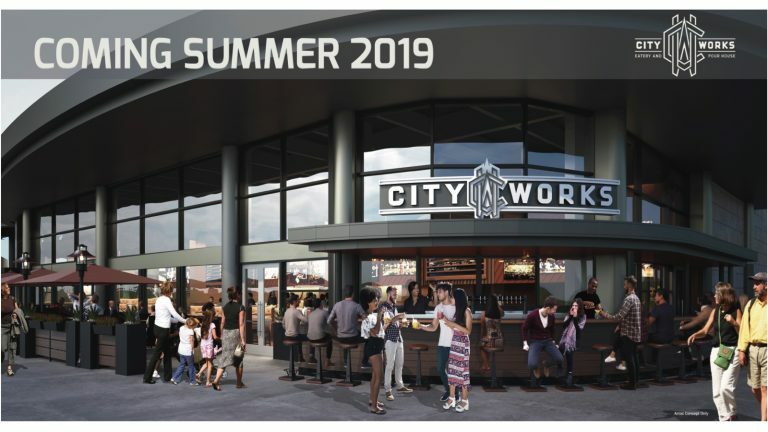 And sports fans — City Works features HD TVs around the restaurant, including a giant, 165-inch screen! Next year, you can look forward to ending your magical day at two of the theme parks with all-new nighttime spectaculars! 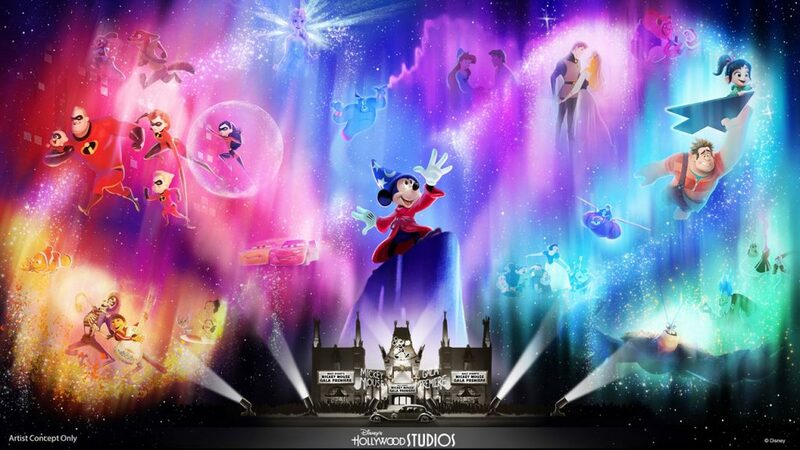 Debuting in May, the “Wonderful World of Animation“ can be seen on the Chinese Theater at Disney’s Hollywood Studios to help celebrate the park’s 30th anniversary. Using state-of-the-art projection technology, the show will take guests on a journey through animation — beginning with the Mouse that started it all! And, after almost 20 years, “IllumiNations: Reflections of Earth“ will be saying goodbye to Epcot. The classic show will run through the end of summer 2019, however, a new, limited-time show called “Epcot Forever“ will take its place next fall! This show begins with “one little spark of inspiration” and evolves into fireworks, pyrotechnics, music, lasers, and new choreographed, special effects kites. Epcot Forever won’t be around long though — a new nighttime spectacular is already slated to arrive in 2020! This as-yet unnamed show will tell the story of how Disney music unites and inspires people all over the globe. It’s a bird, it’s plane, it’s the newest way to get around Walt Disney World! Starting fall 2019, the Disney Skyliner will connect Disney’s Hollywood Studios and Epcot’s International Gateway to four resort hotels — Disney’s Art of Animation, Disney’s Pop Century, Disney’s Caribbean Beach, and the upcoming Disney Riviera Resort. The Skyliner Station at Caribbean Beach will serve as the hub, and each station will be carefully themed to fit its location. 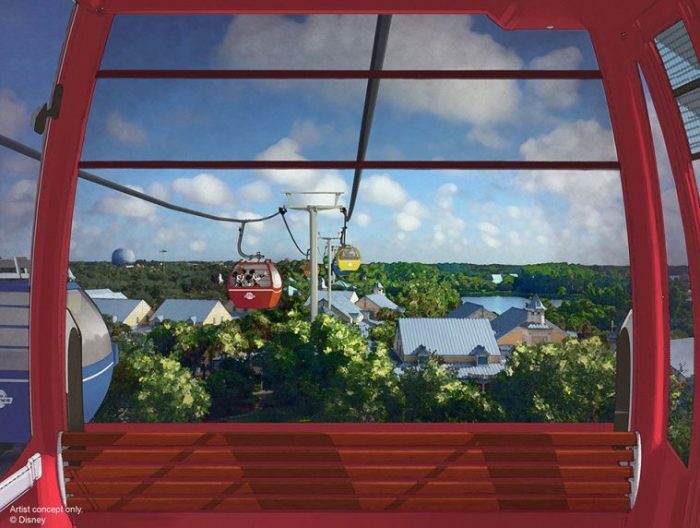 Riding in the Skyliner gondolas will provide guests a new, fun way to get around Walt Disney World — complete with unique, never-before-seen views! When your park turns 30, you celebrate in style! Starting January 18, Pixar Place will be turned into a block party to celebrate your favorite superheroes — Mr. & Mrs. Incredible and Frozone! The most fabulous supersuit designer, Edna Mode, will be in attendance, and guests will have the chance to search for the mischievous Jack-Jack. Mike and Sulley from Monsters Inc. will be returning to the park in January for meet and greets in Walt Disney Presents. Also rolling into Hollywood Studios, is Lightning McQueen’s Racing Academy. This high-octane show puts guests right in the middle of Disney-Pixar’s Cars! Featuring music from Disney Channel stars, this brand-new attraction lets guests come face-to-face with Lightning, while being enveloped by a giant, wrap-around screen that is nearly two stories tall! 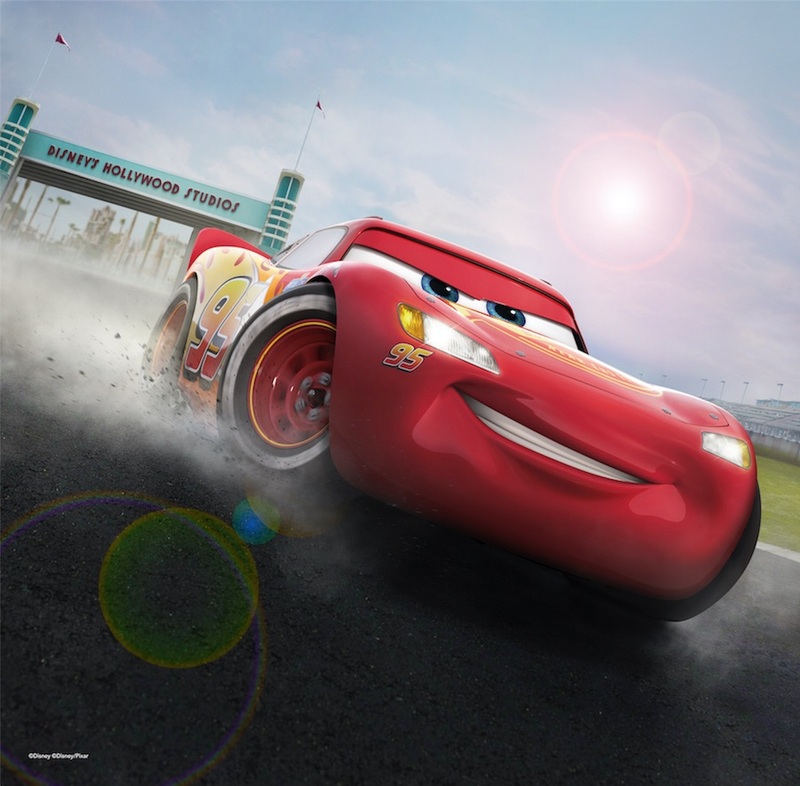 Lightning McQueen’s Racing Academy is set to open in Spring 2019. Ka-chow! 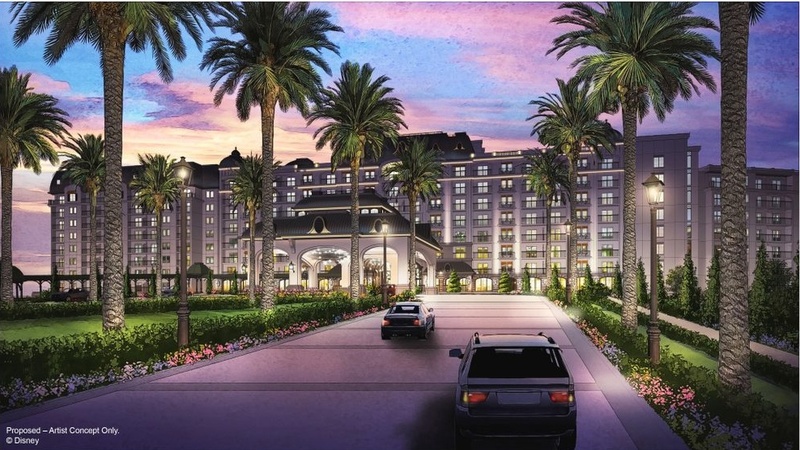 Scheduled to open in fall 2019, the Disney Riviera Resort is a brand new Disney Vacation Club property. The resort will be located close to Epcot, and all approximately 300 rooms will be DVC. This is the 15th Disney Vacation Club property to open. As mentioned before, the Riviera Resort will be a stop on the brand-new Disney Skyliner. 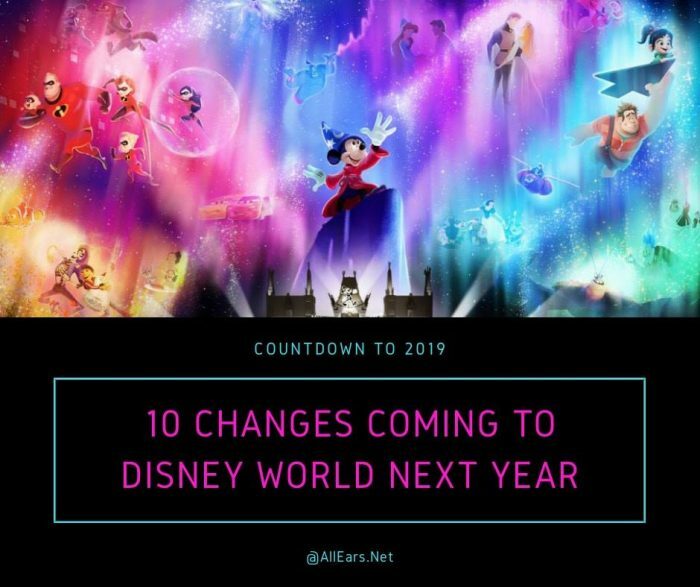 It will also feature a rooftop restaurant that is sure to host fantastic views of the nighttime entertainment at Epcot and Disney’s Hollywood Studios! Timon and Rafiki invite you to Disney’s Animal Kingdom to join them at this “raucous celebration” as they celebrate the 25th Anniversary of the animated classic, The Lion King! 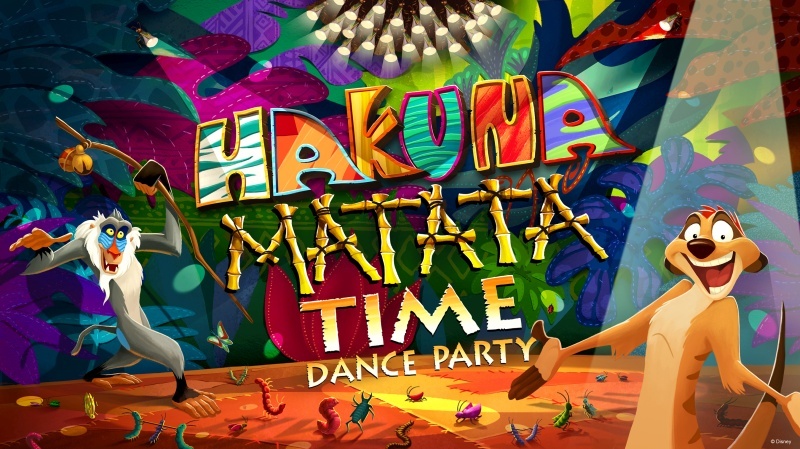 The Hakuna Matata Time Dance Party starts January 18 and runs through September 30. Guests can dance with the characters and play games inspired by the film, as live music fills Discovery Island! Guests can also celebrate The Lion King by posing with all-new 3-D photo opportunities around the park. These photo ops will allow you to re-create famous scenes from the beloved classic! 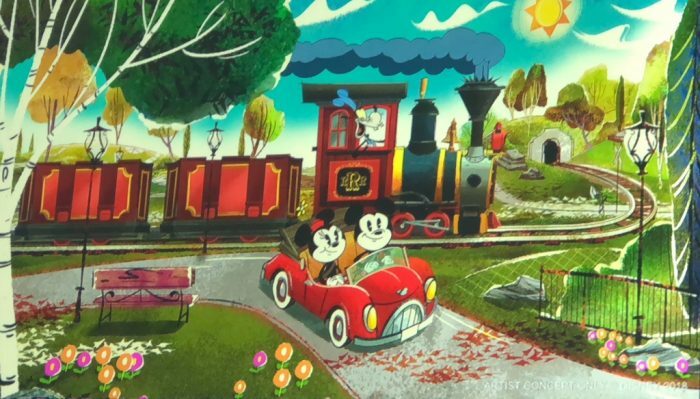 Can you believe Mickey has been around for 90 years and this is the FIRST ride ever to be themed specifically to him? Taking up residence in the Chinese Theater at Disney’s Hollywood Studios, Mickey & Minnie’s Runaway Railway puts you in the middle of a Mickey Mouse short! The 2-D cartoon will transform into a real world adventure complete with dazzling visual effects and mind-boggling transformations, right before your very eyes! The all-new attraction is set to open in fall 2019, so stay TOONed for more details! WOW! That is a lot happening in one year! What are you most excited about? Let us know in the comments! Bring back the magic! Be the Disney that Walt would be proud of. Treat your employees with respect by giving them a voice. There is no one for them to voice their opinions to when they have bad managers or when their coworkers dump their duties by asking for “favors” to do their work, and for getting employees fired for the same infractions they get away with. Improve the restrooms by giving the men’s room more urinals and limiting their stalls to half the number as the women’s room are allotted. The women have babies to change, little boys and girls to include, plus they have to sit down at each occasion unlike men. Why must they have long lines to wait in when men can just pop in and out? Also, it’s more difficult for women and children to hold their bladders (especially older women) yet they have sometimes painful waiting lines and sometimes “accidents”. The toilet paper is too thin and ends up in little torn pieces trying to pull it out of the heavy big dispensers. Give exit interviews to employees that leave and/or fired. They may just need a fair chance. Dauna, you are soooooo right. All but two on the list are just another hotel, restaurant, transportation or entertainment. Nothing to get excited about there. And the two new attractions are simply replacing other (debatably, better) ones. So, not really adding anything. In fact, some of the entertainment is also just replacing some other. And from what I read just on this site, it seems that at least 50% of the posters are not the least bit thrilled about more Star Wars. I sure hope Disney’s 2018 marketing campaign is not centered around these yawners. Only the skyway sounds interesting! The rest…NO! You are too far removed from what Disney is all about! And more hotels?